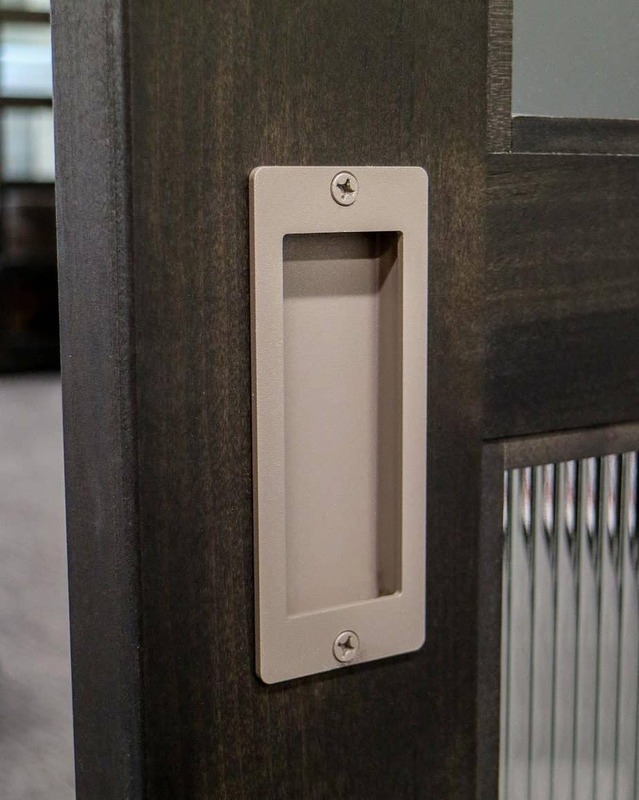 When you have bypassing barn doors or a door that slides against a wall, standard door pull handles could get in the way. 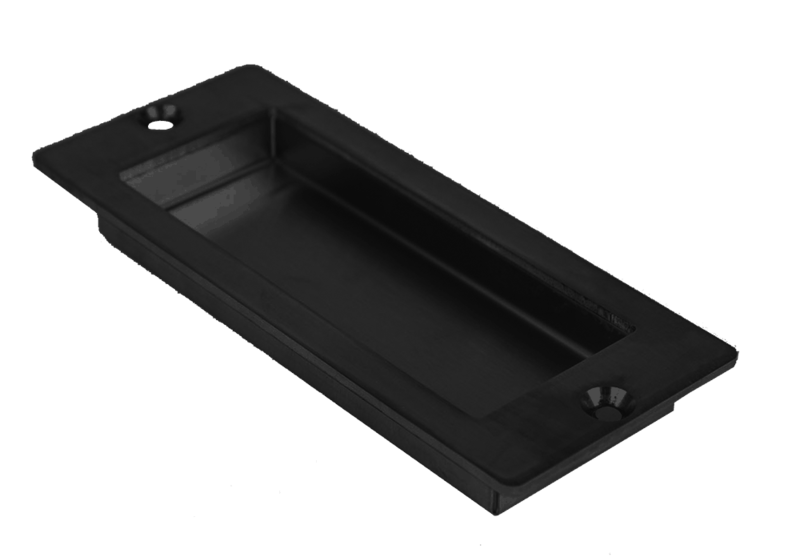 Our flush pulls provide a stylish alternative that stays clear of the door path. Flush pulls are available in raw steel and 16 powder coat colors in 6″ and 12″ sizes. We also make a 4″ flush pull to match our Shutter Series hardware, and stainless steel flush pulls to match our Stainless Steel Series hardware. Visit your local Goldberg Brothers retail dealer, or see our online product catalogs for current offerings.